Gain hands-on expertise in CompTIA IT Fundamentals certification exam by FC0-U51: CompTIA IT Fundamental course. IT Fundamentals certification is a technical, vendor-neutral certification exam. 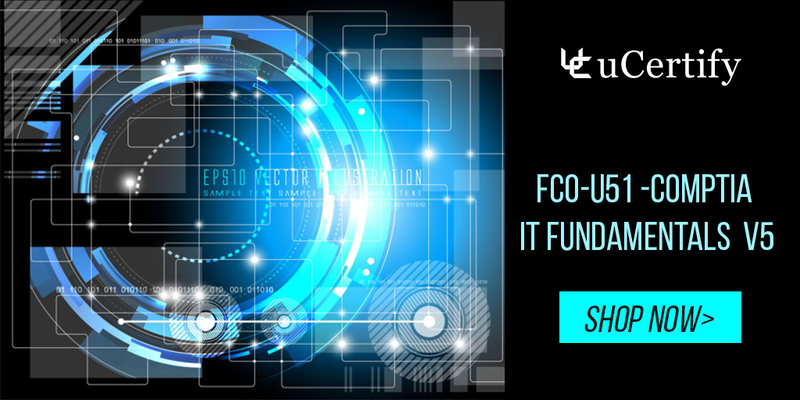 The FC0-U51 exam covers the expertise and technical knowledge required to identify and explain computer components, install software, establish network connectivity and prevent security risks. uCertify uses content from well-known publishers, instructors, and subject matter experts. They have a minimum of 15 years of experience in their fields. uCertify brings these textbooks to life. It is full of interactive activities that keeps the learner engaged. uCertify brings all available learning resources for a topic in one place so that the learner can efficiently learn without going to multiple places. Challenge questions are also embedded in the chapters so learners can attempt those while they are learning about that particular topic. This helps them grasp the concepts better because they can go over it again right away which improves learning. Learners can do Flashcards, Exercises, Quizzes and Labs related to each chapter. At the end of every lesson, uCertify courses guide the learners on the path they should follow.